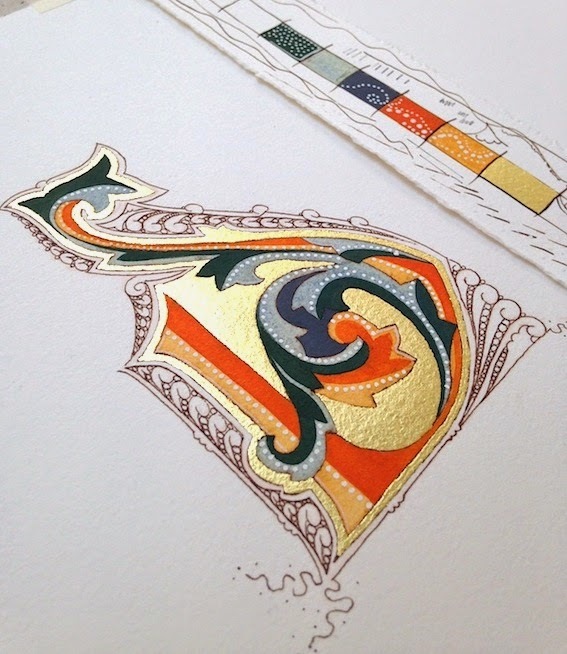 GEMMA BLACK calligraphic designer, artist & teacher: Who's that? Oh my god, it's crazy out there on the streets and canals of Venice. Two nights before Christmas and the "buon Natale" love & fever is all around us. 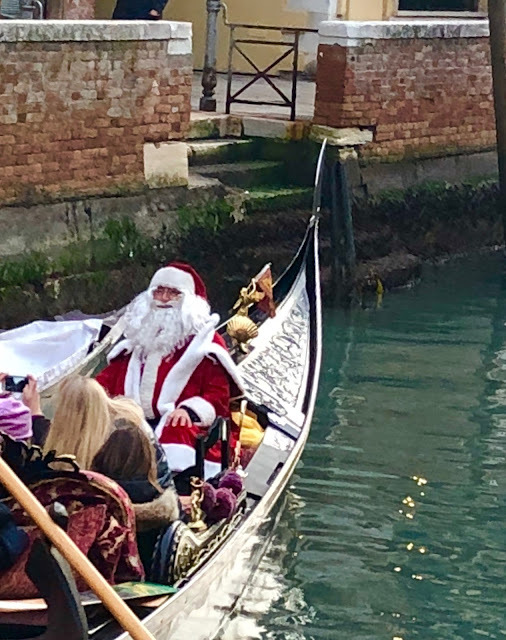 Imagine the scene, lane ways crammed with shoppers, boxes, parcels, people of every race & creed, strolling, running, dashing here and there ... wait ... was that Santa Claus I saw in a gondola just now? That's Babbo Natale! Buon Natale, Gemma!